I really think that librarians have two natures. On one hand, there is an impulse to conserve - to save everything, in case it's needed later. 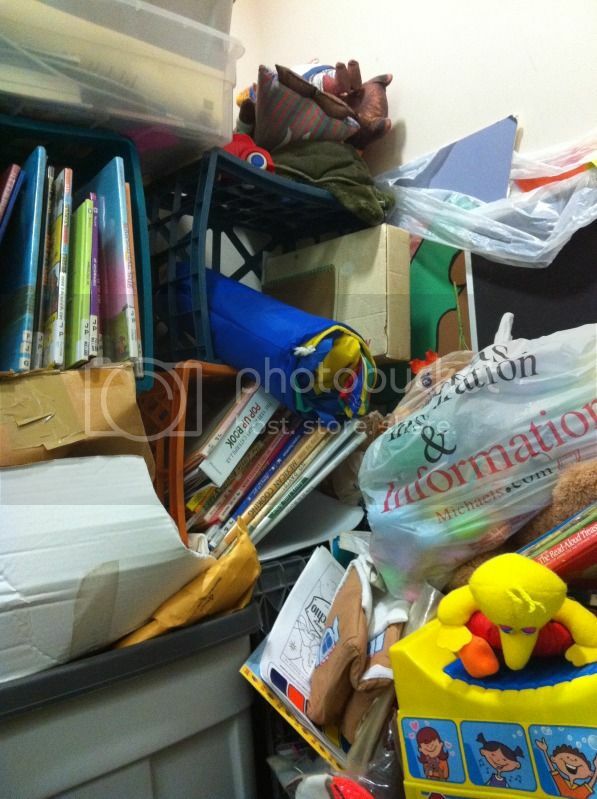 Yes, lots of librarians are a bit hoarder-ish. On the other hand, librarians like to organize. Put everything in order, so that you can find it later. I have to say that I probably lean a little more towards the "organization" side of things. 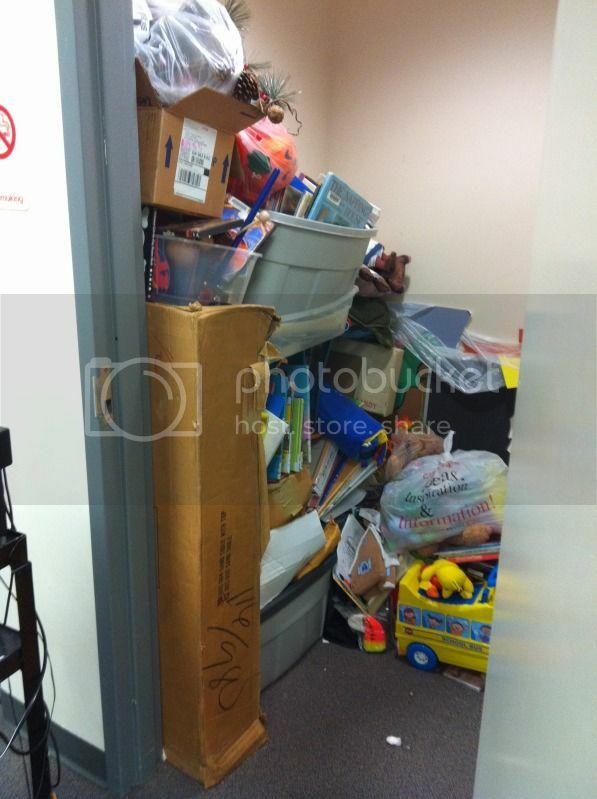 Here is the children's supply closet at my branch. 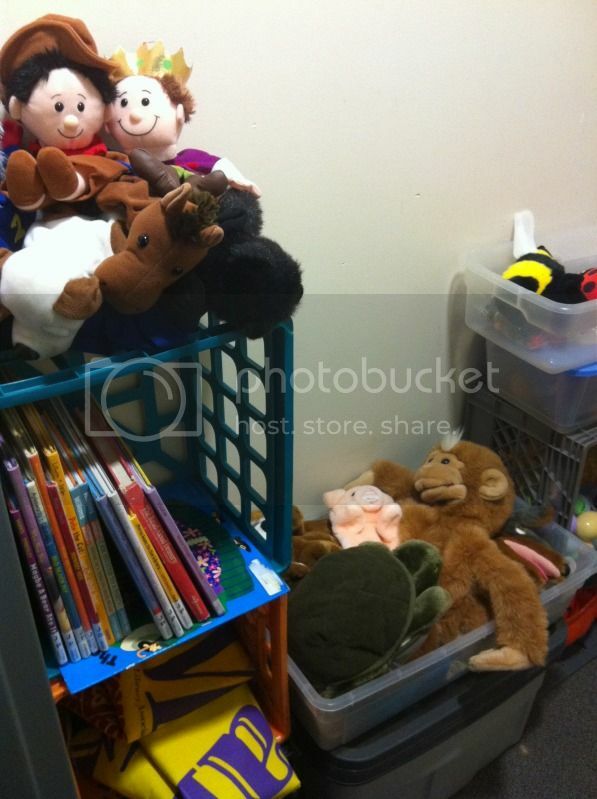 It's overstuffed with books that have been set aside for storytimes, my supply of puppets and other storytelling props, A/V equipment, some craft supplies and displays and posters to decorate the branch with. Let's take a look. Wow. What a mess! 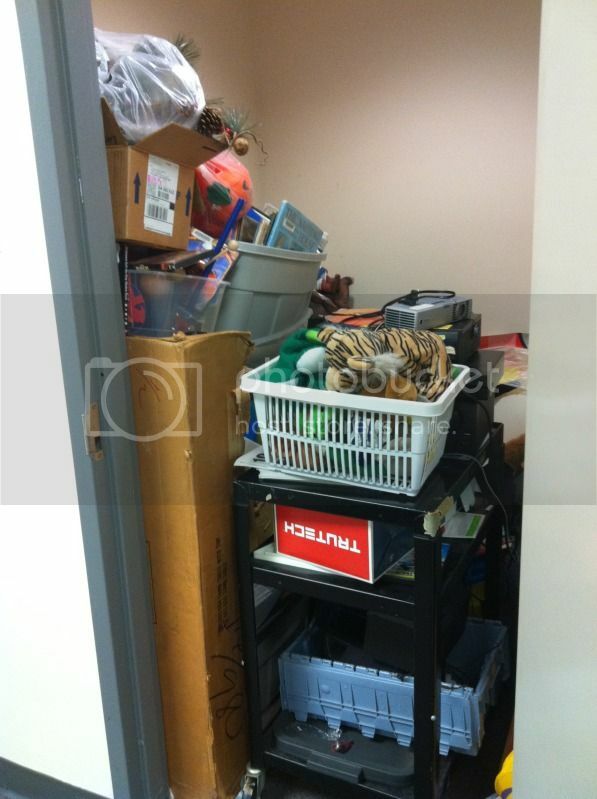 Here's the closet with the A/V cart taken out. And here's a close-up of some of the madness. About half a day of rolling up my sleeves, and making hard decisions about what to pitch, what to keep, what could be donated to other organizations and what to put back in public areas, and here are the results. Nice Job!!! This is definitely cleaner! @Smalls - it's so true isn't it? Think of all the librarians you know and where you'd place them on the scale of organize/hoard.